Worms lacking CEPsh glia (right) tend to abruptly pause in place, suggesting that these cells help regulate the immobility that accompanies sleep. A good night of sleep entails about eight hours of blissful immobility—a state of near paralysis that, though welcome at night, would be inconvenient during the day. In a recent paper published in Cell Reports, Rockefeller scientists shed new light on the transitions between a wakeful, active state and the stillness of sleep. Through a series of experiments in the roundworm C. elegans, the researchers show that glial cells play an unexpected role in ensuring that worms don’t suddenly succumb to sleep-associated immobility. It’s the latest in a growing list of functions ascribed to glial cells, which were once thought to function solely as scaffolding for neurons, but are turning out to be sophisticated biological actors in their own right. The research may offer new insight into the function of glial cells in humans, and reveals a nuanced relationship between sleep and movement. In C. elegans, a type of glial cell known as CEPsh glia surround neurons in the worm version of a brain, and are known to wrap around select synapses, the connections between neurons. 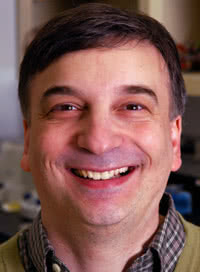 Shai Shaham, Rockefeller’s Richard E. Salomon Family Professor, and research associate Menachem Katz took an interest in CEPsh cells because they seemed to share many features with astrocytes, star-shaped glial cells suspected by some scientists to regulate sleep in humans and other vertebrates. To better understand the function of CEPsh glia, the team developed a line of C. elegans that lacked these cells,then monitored the tiny worms’ movements. The scientists noticed that, often, the animals abruptly stopped in place for seconds to minutes at a time—an unusual behavior for this type of worm. “We can watch C. elegans all day when they search for food, and we rarely see them stop. The worms lacking CEPsh glia were abnormal—they looked narcoleptic,” says Katz. The researchers also found that during lethargus, a sleep-like state associated with molting, C. elegans without CEPsh glia fell asleep abnormally early and stayed asleep for a longer-than-usual amount of time. Overall, worms lacking CEPsh glia appeared to possess an increased propensity for sleep. “They’re like teenagers,” says Shaham. The scientists also noticed that the modified worms matured through larval stages at a slower pace than controls. They were surprised by this outcome, which suggests that healthy development depends in part on healthy sleep patterns. Next, the team examined the neurons whose synapses are covered with CEPsh glia. Specifically, they looked at the connection between ALA, a neuron involved in sleep, and AVE, a neuron that controls movement. They found that this synapse is inhibitory, meaning that when ALA is active, AVE can’t do its job. Katz and Shaham believe that ALA is responsible for their worms’ apparent drowsiness. When they removed ALA neurons in C. elegans lacking CEPsh cells, these worms no longer displayed the odd behavior seen in previous trials: movement, sleep, and development returned to normal. These findings suggest that, when CEPsh cells are absent, ALA inhibits AVE continuously, thereby impeding movement at inappropriate times. But CEPsh glia seem to counteract ALA neurons, permitting normal movement. “When the animal needs to be moving, the glia are important in making sure that AVE isn’t listening to ALA,” says Shaham. Furthermore, Katz and Shaham discovered that ALA inhibits movement without completely deactivating AVE, an usual decoupling of neuronal activity and motor output. “That’s a very exciting concept,” Shaham says. Scientists have discovered a curious way for cells to die. In studying it, they are learning about how remnants of diseased cells are normally chewed up and removed. Researchers have found that the cells directing the very first steps of brain formation are not other neurons, as scientists have long assumed. They've also uncovered previously hidden molecular pathways that attract neurons into the brain.